AB3DXtd is not just a 3D design software, it's also a learning tool for those who don't quite understand three dimensionality. 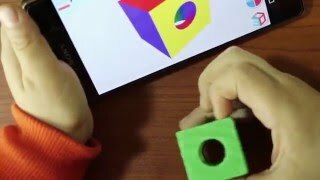 By sketching on the three faces of a cube, or using the front/side/top view modeling, users can learn how 3D objects are created out of 2D shapes. Toggle between normal and 3-view modeling for greater flexibility. Take our app with you on all your devices.